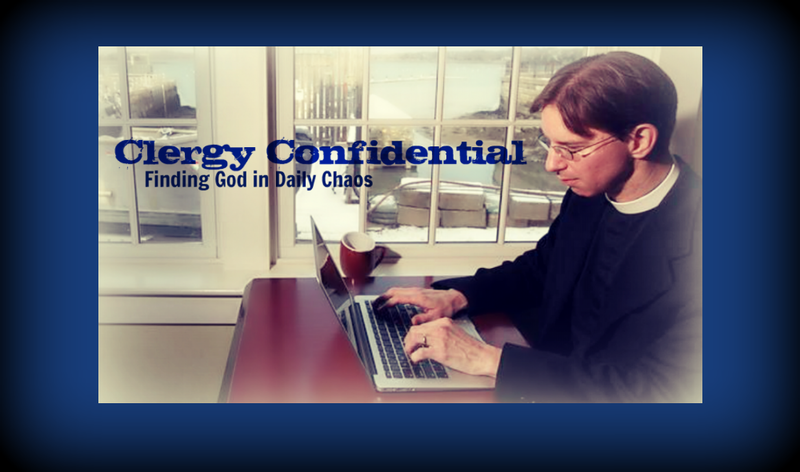 Clergy Confidential: "I Will Survive!" "So, what's your new book about?" a friend asked me the other day. Authors are supposed to reel off the ubiquitous "elevator speech" whenever they get this question. As in "Set in Victorian England, the novel highlights the troubled relationship between the demure Angela and the ambitious young Franklin blah, blah, blah..."
Steven Covey, or whoever invented the "elevator speech," would have chastised me for my unpolished answer: "It's basically a bunch of Episcopal Church humor." It's true though. The eponymous Father Tim's Church Survival Guide is a collection of humorous tactics and (mostly) tongue-in-cheek methods for surviving church life. From pompous clergy to interminable meetings to avoiding stewardship there's plenty of satire and snark to go around. Episcopal Church . . . and no one is safe. This book is a wonderful reminder that while Episcopalians take our faith very seriously, we are also invited to laugh at ourselves (and especially priests and bishops). If you enjoy the holiness that humor brings to the Church and to life, and you think laugher is one of God's favorite prayers, this book is for you. If not, put it down and step away now. You've been warned. Written with both humor and wisdom, Tim Schenck's book will appeal to all of us who both love The Episcopal Church and are driven nuts by some of its (unofficial) rituals. Father Tim's Church Survival Guide turns the kind of satiric eye on the church that can only be cast by one who is deeply faithful. I recommend it to everyone who wants to know—and survive—the church as it is in hopes of making it the church that it can be. Curious? In the coming days I'll share an excerpt or two. 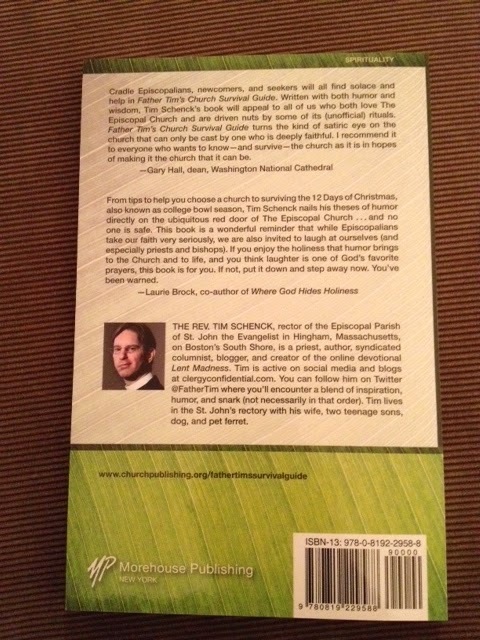 In the meantime, you can order it through Church Publishing or Amazon. And if you're into instant gratification and have a Kindle, you're in luck. My take on church life isn’t for everyone—clergy who take themselves too seriously will hate it. But know that it all comes out of a place of deep love for God and the Church. There are inevitably things that drive us nuts about such an imperfect (i.e., human) institution. Yet if we can’t observe and comment on our own foibles, we’re left without much hope. And anyway if God doesn’t have a sense of humor, I’m hosed. I'm pretty sure there's nothing in it that will get me defrocked. Though I invite you (and my bishop) to be the judge. Did I mention this book would make the perfect Epiphany gift for every Episcopalian you've ever met? I meant to.